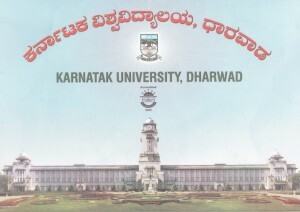 In February 2001 the Diploma course in Reproductive Health Management started at Karnatak University in Dharwad, Karnataka, India. 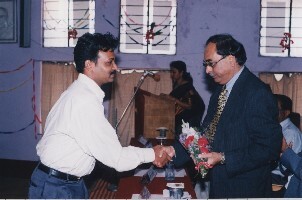 The diploma course is a cooperation between Karnatak University, the Population Research Centre, J.S.S. Institute of Economic Research in Dharwad, Karnataka and the Population Research Centre, University of Groningen. 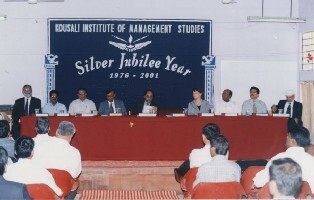 The offical start of the International Diploma Course in Reproductive Health Management at the Kousali Institute of Management Studies (KIMS) of KUD in February 2001. 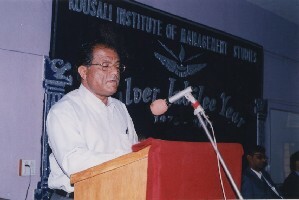 Professor C.G. Hussain Khan, coordinator of the International Diploma Course in Reproductive Health Management, and professor of Anthropology at KUD, addresses the audience.